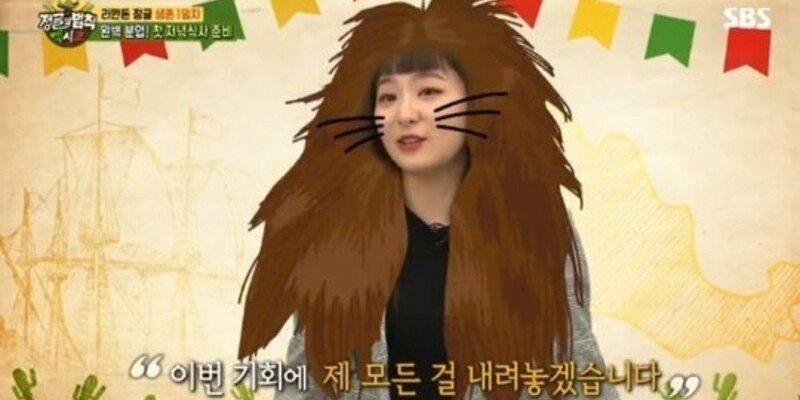 Red Velvet's Seulgi opened up about her hair struggles. On June 29, SBS�'Laws of the Jungle' aired the special in Mexico with Kim Byung Man, Seulgi, WINNER's Lee Seung Hoon, Kim Jun Hyun, Julien Kang, Nam Bo Ra, chef�Choi Hyun Suk, and Kangnam. During their survival in the jungle, Seulgi was seen tying and untying her hair over and over again. Seeing this, the producers commented, "You look like a lion." In the interview prior to their travel, Seulgi revealed that she's most concerned about her hair in the jungle. She explained, "My hair is very curly and frizzy so I'm worried. But I'm going to let everything go this time. I think that will help me comfortably engage in filming."